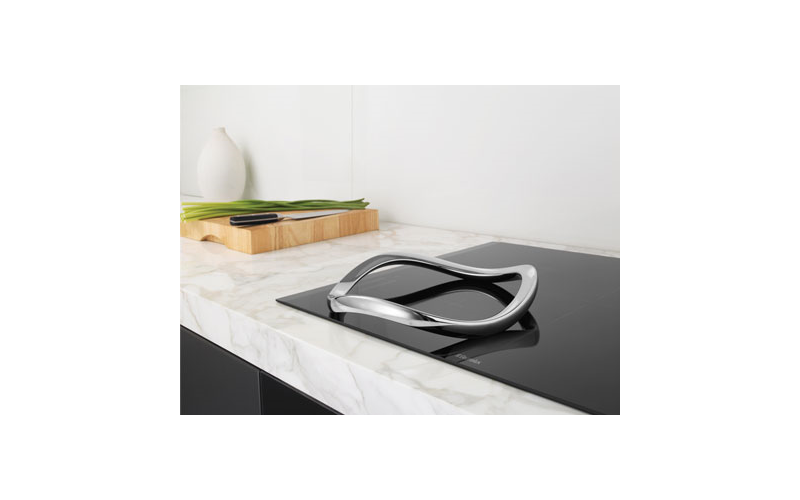 Electrolux E:Motion Wok & Trivet is rated 3.0 out of 5 by 2. 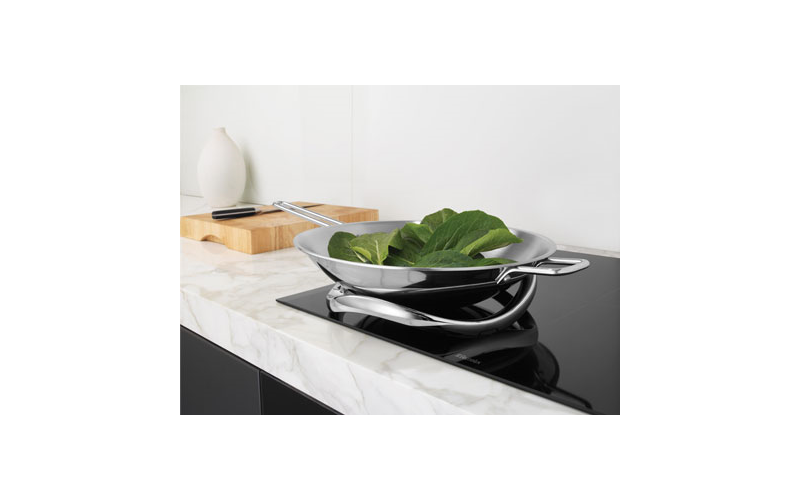 The chromed aluminium trivet resembling a piece of kitchen sculpture or jewellery that does not heat up and allows for wok cooking on your induction cooktop that would usually only allow flat based pots or pans. High Performance stainless steel wok that allows fast and focused heating. With its elegant rounded shape and silver appearance, the Electrolux E:Motion wok support is as much a statement of style as it is of innovative functionality. 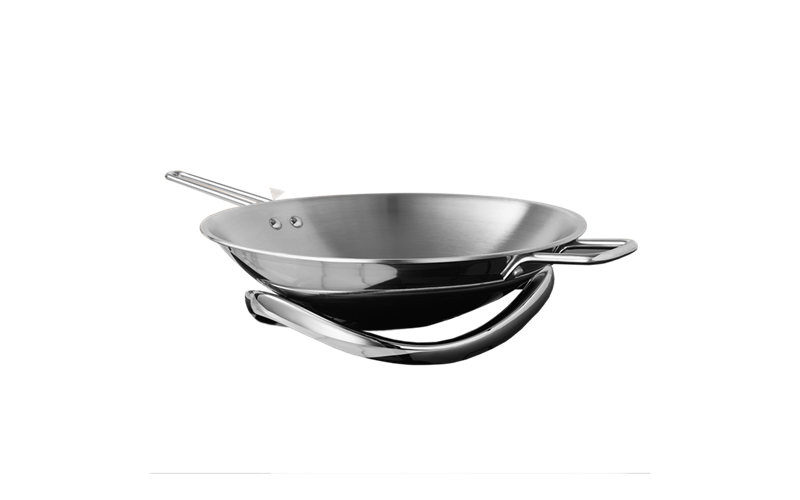 Rated 5 out of 5 by APRJ from Excellent wok The wok looks great and heats faster than any other pan I have. I'm using it on a non-Electrolux cooktop and it works fine. Rated 1 out of 5 by zacary from Unfortunately the product does not work on portable induction cooktops. None of this was mentioned in your descriptions. I rang Electrolux and they explained that it works on their extra powerful induction cooktops. So I am stuck with a useless product.